Australia has recently celebrated Australia Day, and with every Australia day comes a renewed argument about the future of Australia. For example, the current Australian flag leaves something to be desired. 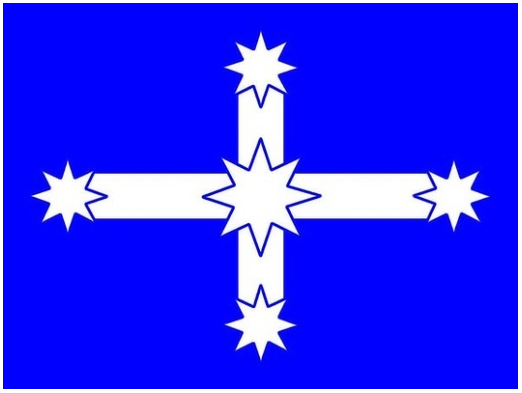 After all, it’s basically the British flag with the Commonwealth star and the Southern Cross, and that’s not particularly Australian, especially since it’s a constant reminder of Britain’s history as a colony. Now more than ever, Australia’s most prominent citizens are leading a call for a new Australian flag like the Eureka flag shown above. The Eureka Flag has a history in Australia; it’s basically the Aussie version of the Gadsden flag, or the first flag under which Australians first attempted to break away from colonial forces. As such, it has a lot of history in the country, for good or ill. Still, changing your history is tough, even when it’s based on a mistake.